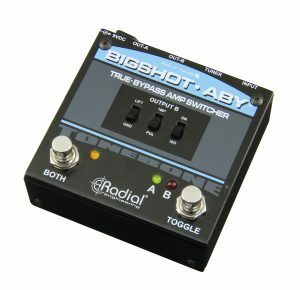 The BigShot ABY™ is a compact true-bypass ABY switcher that enables you to switch between two amplifiers or play through both amps at the same time, while eliminating buzz and hum from ground loops. The BigShot ABY makes it easy to run two amps on stage, without introducing noise or altering your tone. 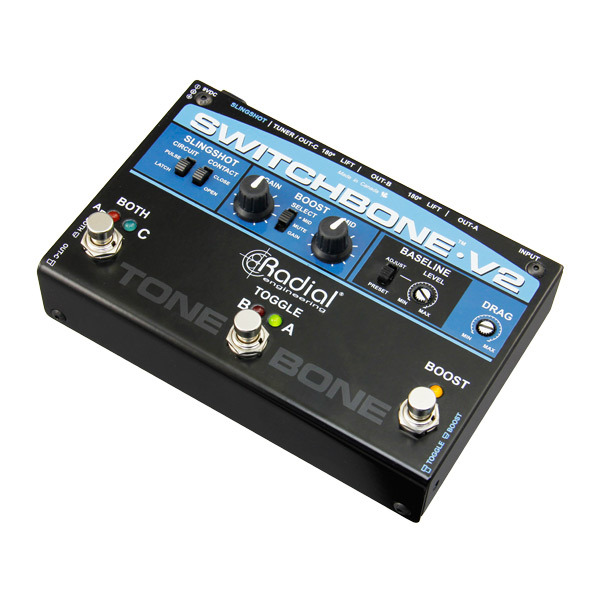 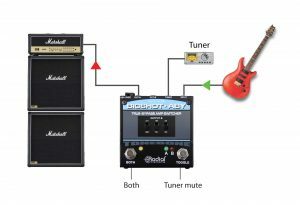 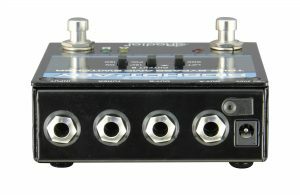 The pedal has two latching footswitches that allow you to choose which amp is active, or run through both simultaneously. 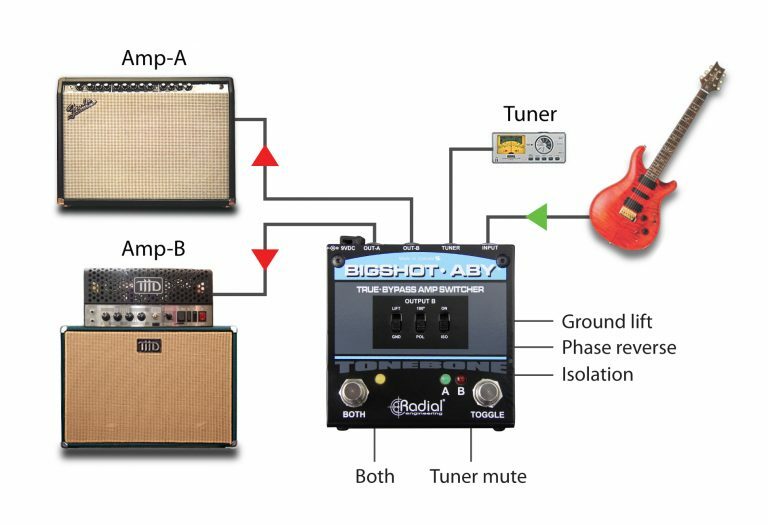 The second amp output features a ground lift and an isolation transformer that can be engaged to eliminate buzz and hum from ground loops, while a 180° polarity reverse switch ensures both amps play back in phase to avoid frequency cancellation. 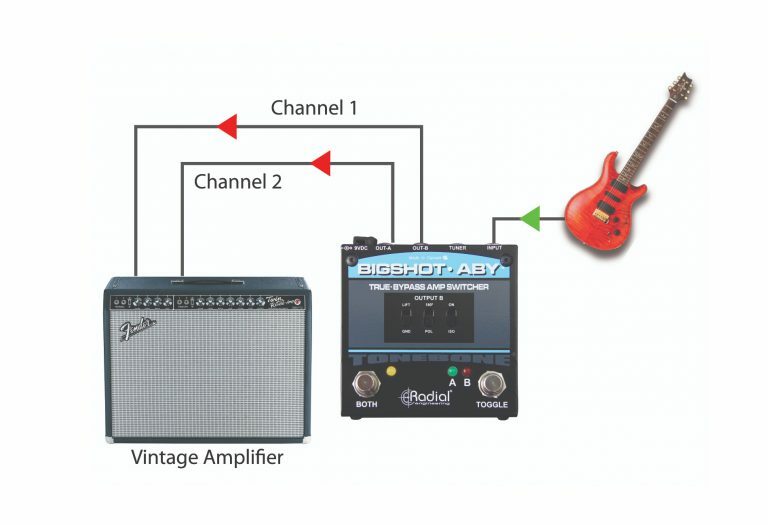 When powered by an external 9V supply or pedalboard power brick, LEDs provide instant on-stage visual feedback - when power is unavailable, the passive audio circuit still works unaffected. 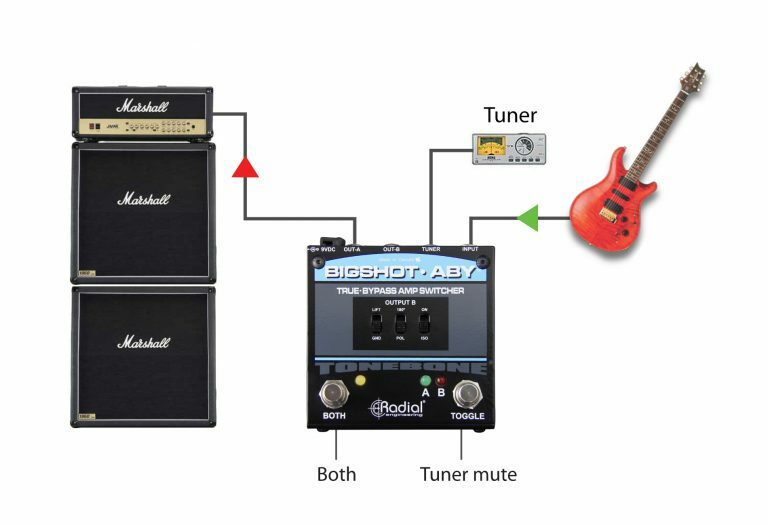 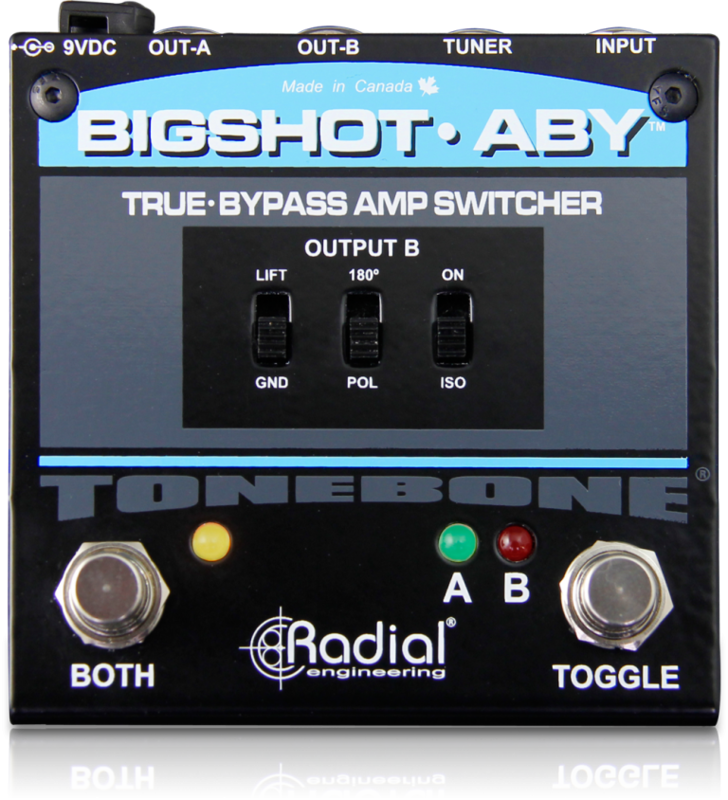 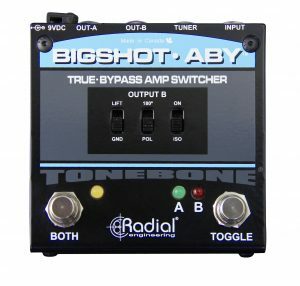 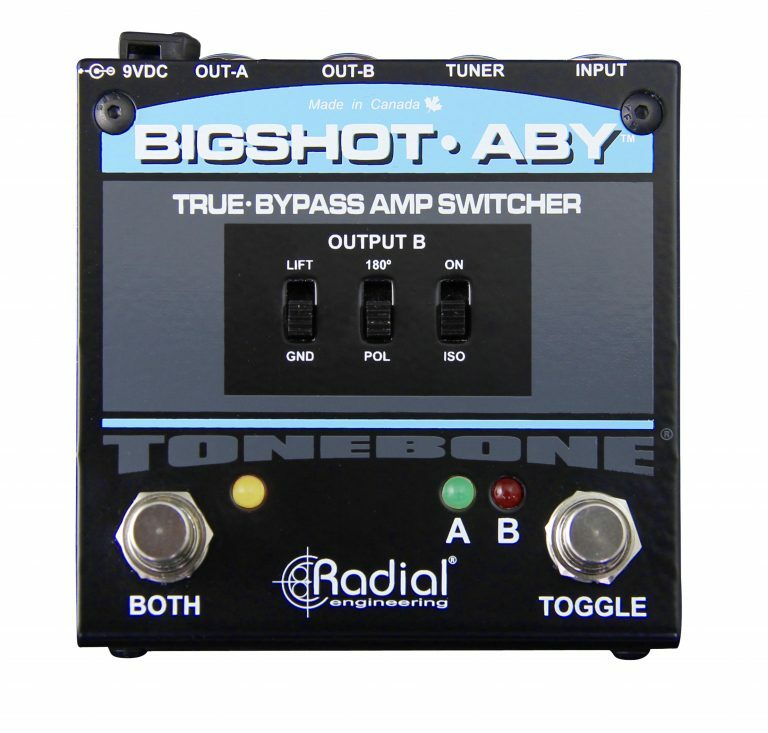 Best of all, the BigShot ABY is true-bypass device, without any tone-altering buffers between the guitar and the amplifier to ensure you retain the pure tone of your instrument. The BigShot ABY makes it easy to switch between two amps. 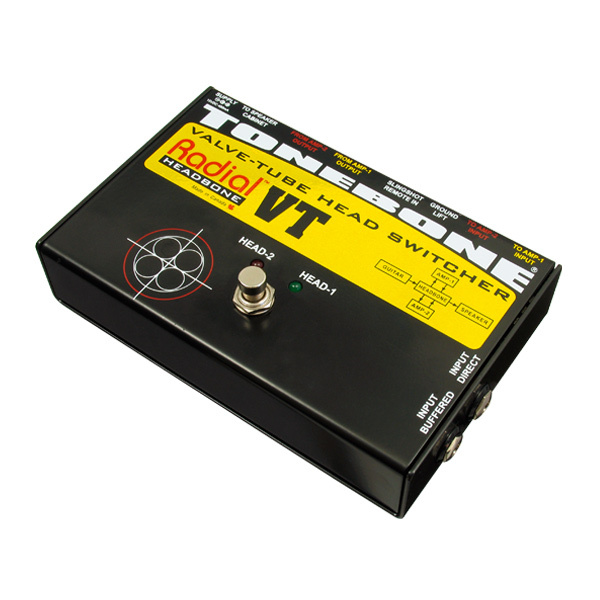 With the built-in isolation transformer, hum and buzz caused by ground loops can be eliminated. 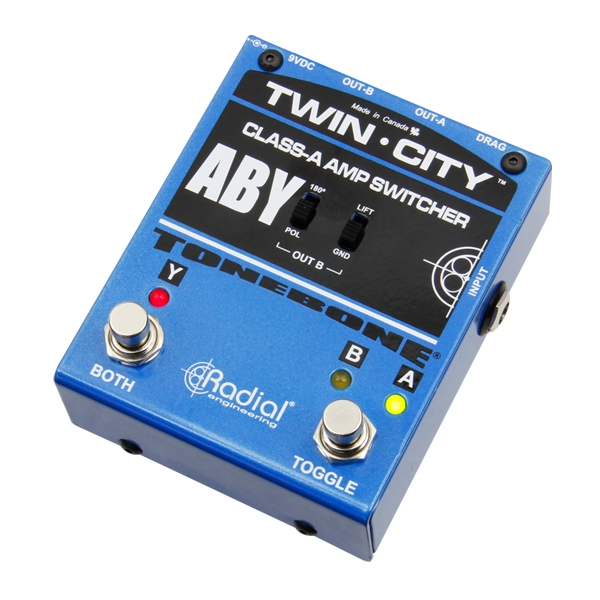 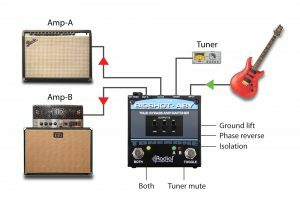 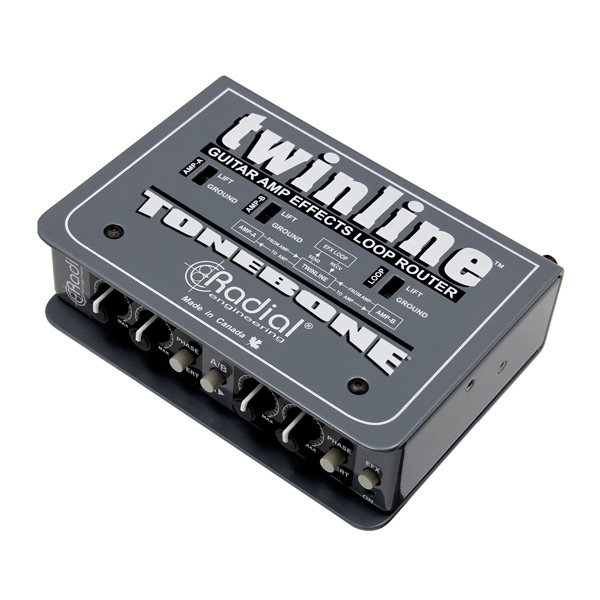 A separate tuner out keeps this tone altering device out of the main signal path.